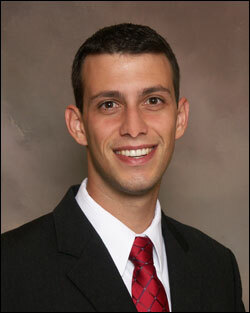 Attorney Matthew Shapiro was recently honored in the Volusia/Flager Business Report’s “40 under 40”for 2014. The honorees featured in the issue were nominated by Business Report readers as well as a handful of staff selections to recognize young professionals under the age of forty who are making a difference, both professionally as well as through their involvement in community. In addition to his work at Rice and Rose, attorney Matthew Shapiro serves as general counsel for the Ormond Beach Chamber of Commerce and as co-general counsel for the Daytona Beach Young Professionals Group. He is a member of the Volusia County Bar Association, the Dunn Blount Chapter of the American Inns of Court, and a graduate of Ormond Beach Leadership IX and Daytona Beach Leadership XXXIII.